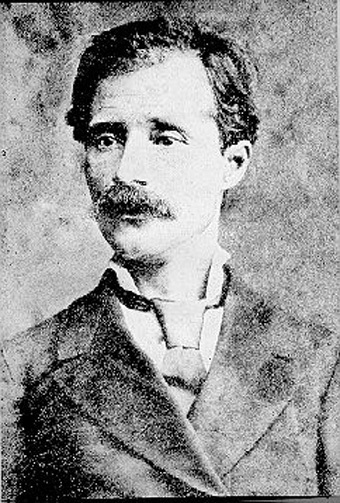 Grigor Prlicev is one of the most talented and most productive Macedonian writer from the period of the struggle from the cultural revival. Grigor Prlicev was born in Ohrid in 1830 in a family of a extremely poor people. On his age of 6 months, his father dies and leaves on the world, alone 4 children including him. Grigor Prlicev started his education with the help of his grandfather who teached him how to read, and later he started going to school in Ohrid. Soon he becomes a student of the very well known in that period Macedonian writer again Dimitar Miladinov, and by his help he gets solid education. Grigor Prlicev was a teacher some period and later he went in Athens to study medicine. But he loved to write more than to study medicine, so he quit the studies and went back to his old love. A result of his love is his famous book called "Serdarot", by which he wins an anonyms concurs in Athens. The book is originally written on Greek, because he wrote it in Athens, in order to take part in that concurs, and soon he translates it on Macedonian. Grigor Prlicev founds out about the tragically death if the both brothers Miladinov, Konstatin and Dimitar and revolted he goes back in Macedonia, to take part in the struggle for cultural revival against the Greek influence in the church, schools etc... Because of his patriotical matters soon he finishes in prison in Ohrid and in Debar. 1871 is an important year for Grigor Prlicev. Prlicev shows his translation of "Ylijada" from Homer and he gets attacked politically by the Bulgarian writer Hristo Botev, because he refused to translate it, on Bulgarian. Grigor Prlicev has spent, the last years of his life in Solun (Salonica), where he wrote his biography. Grigor Prlicev died in his native town, Ohrid in 1893.